There are literally thousands of poisonous plants to dogs. And there is no way we could list or even know them all. However knowing the most common, could prevent a life-threatening emergency from happening to your dog. Dogs by nature, are very curious. They love to sniff, smell, and taste just about everything they come in contact with... including plants. But ingesting even small amounts of certain plants could actually lead to several health problems for your dog. Some with lasting effects! So before heading out to the nearest nursery this Spring, take some time to review the various house and garden plants that could pose serious health risks to your dog. This is especially important for those of you who have a puppy in your home, since they like to chew on everything while teething and exploring their environment. This year plant a pet safe garden! to even potentially fatal problems like cardiac arrest, kidney damage, liver failure, and death! 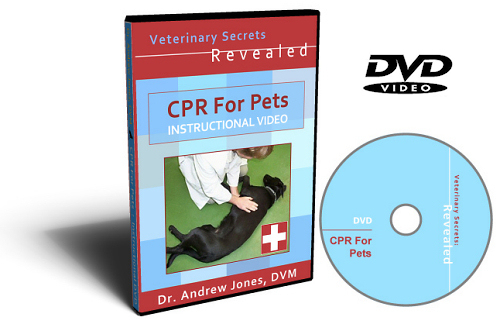 Watch the video below as Dr. Justine Lee describes the most common plants poisonous to pets. If you have any of these toxic plants in your home or garden be sure to remove them or have placed out of your Miniature Schnauzer's reach. So you can see why it is important to plan ahead of time an opt for a dog friendly garden before heading out to the nursery. As mentioned in the video, some of the more popular poisonous plants to dogs (and the ones that concern veterinarians the most) include varieties of the Rhododendron, Azalea, Kalanchoe, Oleander, Sago Palm and Spring Bulbs. The pictures below should help you recognize these popular yet poisonous plants to dogs that may be in and around you home and garden. Be mindful to keep your Miniature Schnauzer away from these toxic plants and be sure to have the telephone number of your veterinarian and/or emergency animal hospital posted or programmed into your phone, so you are prepared to handle a pet medical emergency. 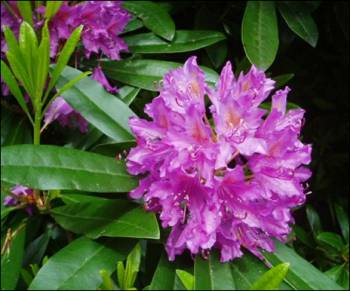 It only takes ingesting 1 or 2 leaves of a Rhododendron to cause poisoning to a dog. Poison symptoms include vomiting, nausea, diarrhea, and even neurological signs like seizure or tremors. A large consumption could even kill your Miniature Schnauzer! 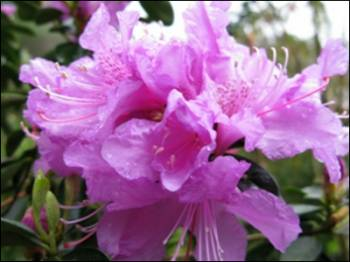 There are over a thousand species of Rhododendron including the popular Azalea (which has hundreds of varieties of its own). Again, ingesting only a small amount can cause a poisoning in a dog. 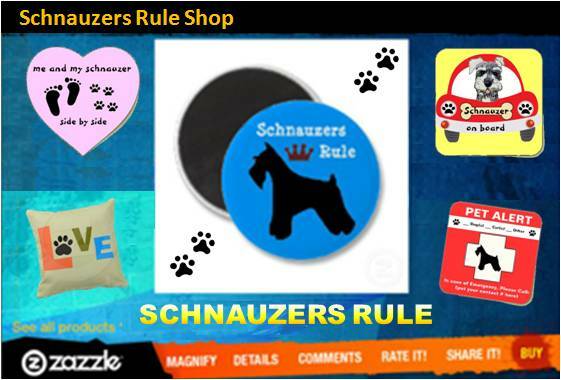 Does your Miniature Schnauzer like to dig? If so, be careful where you plant those spring bulbs. 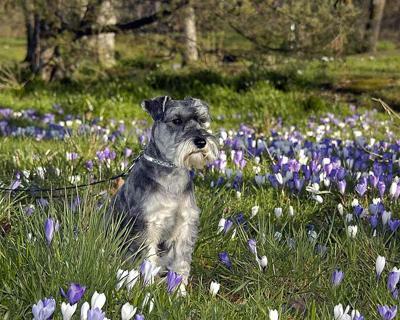 The onion like skins of the bulbs can be very toxic and even fatal to your Miniature Schnauzer. 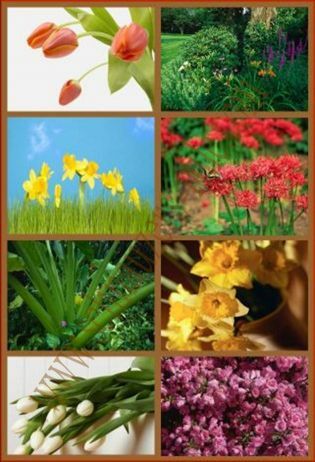 Popular yet very toxic plant bulbs include the daffodil, tulip, and narcissus. Oleander is a beautiful evergreen shrub. It is often used as an ornamental plant in landscapes, parks, and along roadside. It is however, one of the most poisonous plants in the world and is extremely fatal if ingested by your Miniature Schnauzers. Grocery store floral sections often sell potted flowering plants that could be very toxic to your Schnauzer as well, including the Kalanchoe. This plant has thick, waxy, dark green leaves with scalloped edges and small clusters of petaled flowers. 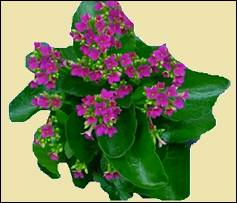 Kalanchoes come in a variety of colors including white, red, magenta, pink, orange or yellow. 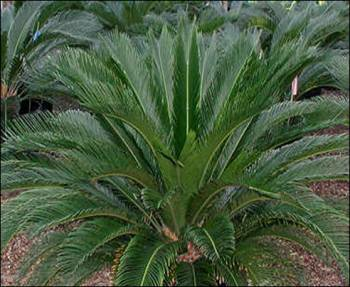 Ingesting parts of the Sago Palm (especially the fruits and seeds) can cause lethargy, vomiting, diarrhea and ultimately lead to liver failure in your Miniature Schnauzer. "Take time to stop and smell the flowers... just don't eat them"
The list below includes even more poisonous plants to dogs. Keep in mind, the list in no way represents all the plants that may be toxic or dangerous to dogs. It's also worth noting that some dogs may have reactions to certain plants that are considered non-toxic or safe for dogs. If you suspect your Miniature Schnauzer may have ingested a poisonous plant or any other kind of poison or toxic substance, contact your local veterinarian or the ASPCA 24-hour emergency poison hotline directly at 1-888-426-4435. The Animal Poison Control Center is staffed by veterinarians and board-certified veterinary toxicologists. Note: There is a consultation fee for this service which includes a follow-up consultation should you or your vet need further assistance with your pet's case. Learn how to create dog friendly gardens. There are of course many other potential garden dangers to your dog. Chemical yard treatments, thorny bushes, compost, acorns, fire ants and other stinging pests..... all pose potential health risks of their own. So be sure to keep a watchful eye on your dog during time spent outside. Another good idea... use only pet-friendly organic herbicides and organic pesticides in your yard and garden. Warning: Don't use cocoa mulch as it contains ingredients that are deadly to dogs, if ingested. Instead choose cedar mulch or pine mulch which are safer choices. And one more thing, check around your yard for wild mushrooms that pop-up, especially during rainy seasons known as death caps. These too are toxic to dogs. More Summer Safety Tips for Dogs: Check out these Summer Care Dog Tips..... And test your knowledge on what food could be harmful to your Miniature Schnauzer. Take the dog food quiz: Do You Know What Foods Are Bad for Dogs? "Knowledge Share"... If you found this article on poisonous plants to dogs helpful and informative please share it with your dog-loving friends by clicking on one of the share links at the top right or bottom of this page.